Like most other unions, the TSSU has in place a strike policy which comes into effect in the event that our membership votes positively in a strike vote, thereby activating a specific procedure. This policy does not determine what job action the membership engages in, nor does it set up any specific time-lines, but ensures that under a strike mandate all decisions are made openly and transparently, and with the support of the membership. First, a Special General Membership meeting (SGM) will be called at which a Strike Committee will be constituted. This committee will be responsible for the day-to-day decisions concerning any job action the membership pursues, as well as for coordinating and organizing those actions, and reporting this to the membership. This policy also ensures that student work and residences will not be directly affected during job action. 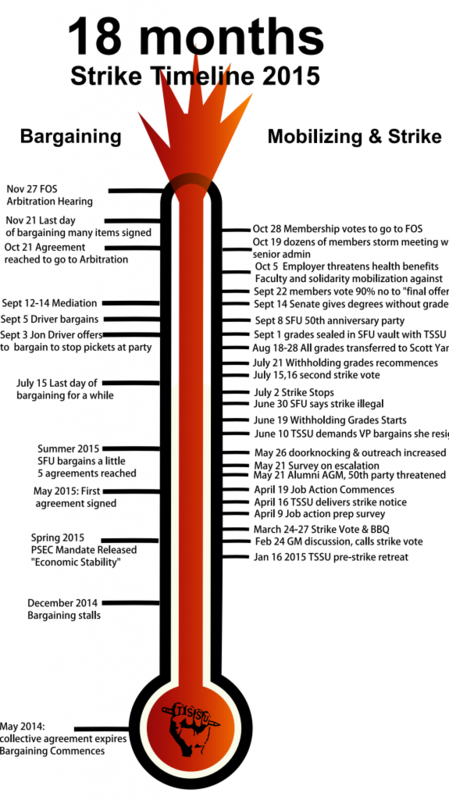 Any TSSU job action targets the work we do as workers, not as students. This policy entrenches this principle, and ensures our membership will be able to continue their studies in the event of any job action. Finally, the strike policy sets up strike pay (or picket pay) in the event of work stoppage or a picket line. This money is only paid to members engaged in work to support the strike, and whose income stops because of a full work stoppage. 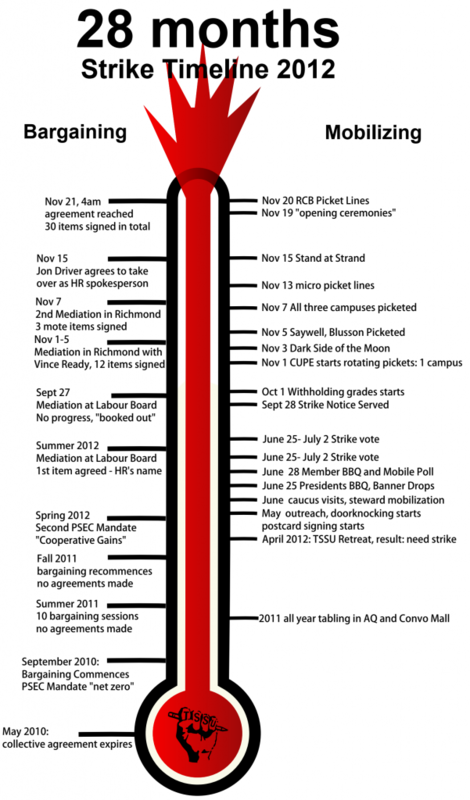 Further, TSSU Policy dictates that the Union will not go to a full work-stoppage (“picket line”) without having taken a vote of the membership. An early, strong show of support during other job action will encourage the University to act equitably, and help increase the chances that a full work stoppage will no longer be necessary. Contact tssu@tssu.ca, both Chief Steward Scott Yano and Staff Advocate Derek Sahota have been past members of the strike committee and are familiar with the policy.